Rotherham United’s midweek match at the Priestfield Stadium sees Dean Whitestone in the middle as referee. From Northamptonshire Dean began his refereeing career in the United Counties and Southern Leagues and in 2001 reached the National List of Referees. Midway through the 2005/6 season Dean was promoted to the Referees’ List. Dean was last in charge of a Millers game in October last year when Rotherham travelled to take on AFC Wimbledon. The game was a three-one victory for the hosts with Lyle Taylor getting a hat-trick. Joe Newell scored for the Millers. Anthony Forde and David Ball were booked that Tuesday night. In August 2015 Dean was in the middle for our Championship game at Loftus Road which hosts QPR won four-two. Tjaronn Cherry scored twice and a Charlie Austin goal made it three-nil but goals from Jonson Clarke-Harris and Tom Thorpe made it three-two with two minutes to go. Dean Whitestone then gave Rangers a penalty in the final minute of the game after he thought Lee Frecklington had fouled Seb Polter in the area which Austin scored from to make it four-two. Yellow cards were shown to Austin and the Millers Lewis Buxton. The last time Dean was in charge of a Millers game was on Good Friday last season at the St Andrew’s Stadium. Robert Tesche and Clayton Donaldson gave Birmingham a two-nil lead in the first half with Matt Derbyshire getting a consolation three minutes into the second half for the visitors. Dean booked two players from each side that day – Kirk Broadfoot and Craig Morgan of the Millers and City`s Jonathan Grounds and Andrew Shinnie. The season before Dean was in the middle for two Millers games, the first in August at the New York Stadium when Shrewsbury were in town. Jon Taylor put the visitors in front in the first half but twelve minutes into the second half an Alex Revell goal equalised for the Millers. Just after the hour mark the Shrews went in front for the second time with a Tom Bradshaw goal which prompted Steve Evans to bring Daniel Nardiello off the bench for Matt Tubbs and within three minutes the Millers striker had equalised again. Not long after Nardiello received a yellow card for ‘unsporting behaviour` and incensed at the end of the game he ran over to the ref and started an argument which saw him get a second yellow after the final whistle. This was followed by a game in the May when Rotherham visited the County Ground to take on Swindon Town. The Millers got off to a flying start when Wes Thomas opened the scoring in the first minute. Wes doubled the score twenty-two minutes later with Swindon but when Massimo Luongo fell over in front of Kari Arnason in the penalty box on the hour mark Mr Whitestone pointed to the spot and with Michael Smith scoring the penalty. Adam Collin pulled off some great saves in the second half of the game with Mr Whitestone infuriating Steve Evans when he said ‘no’ in the final minute of the game when Foderingham had three lunges at Kieran Agard before pulling him down in the area with the ref being the only person in the stadium not thinking it was a penalty. Dean has been in the middle for other Millers games n the past, the first being at the Liberty Stadium two days before Christmas in 2006. Eugen Bopp put the Millers in front eleven minutes into the second half but an Adebayo Akinfenwa goal on the stroke of full-time gave Swansea a share of the points. In January 2008 a hat-trick from Derek Holmes at Sincil Bank saw the Millers beat Lincoln City three-one. That day Dean showed red to Shane Clarke of Lincoln City in the final minute of the game. September 2012 saw Dean in the middle for our nil-nil draw with Barnet at Underhill when he sent Alex Revell off ten minutes from the end of the game for what he said was a ‘two-footed challenge’. This season Dean has been in the middle for thirty-four games showing eighty-eight yellow cards and three red cards. 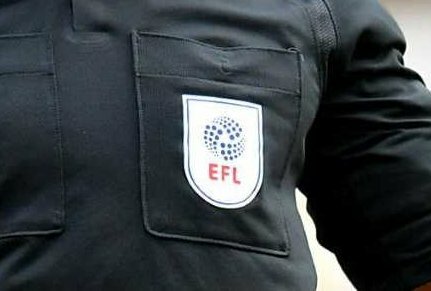 Running the line at Priestfield we have Dean Treleaven from West Sussex and Rob Smith from Hertfordshire with Stephen Brown from Kent making up the trio as Fourth Official.